A male Sara orangetip, unusually still because of the cool, cloudy conditions early in the day. 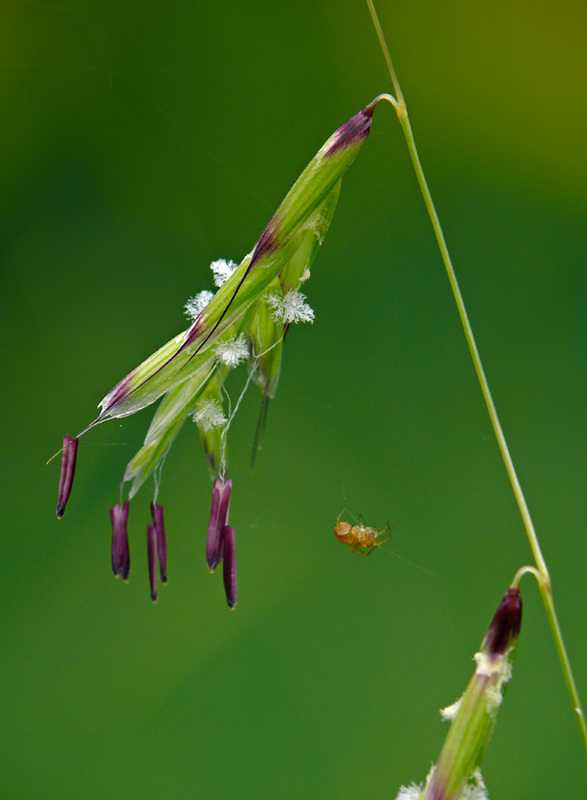 A tiny spider makes its home between the lovely spikelets of nodding semaphore grass (Pleuropogon retrofractus). Yesterday, June 29, 13 NPSO members and friends headed up to Nevergo Meadow to look at wetland plants and whatever else we could find. I had been wanting to bring people to see this little known area since I first visited it. I thought it would make a really great place to botanize without having to do too much hiking or worrying about anyone getting lost. After a short stop along the road near the Saddleblanket wetlands, we parked our cars along the road by Nevergo Meadow. The rarest plant here is Umpqua frasera (Frasera umpquaensis), and the population at Nevergo Meadow is the northernmost one in its limited range, which reaches only as far as southwestern Oregon. Our first destination was to see this population, hopefully in bloom. We headed down through the meadow, which was now filled with much taller vegetation than it was for my trip in May (see Early Blooming at Elk Camp and Nevergo Meadow). On the way down, we were all quite taken with a large area of nodding semaphore grass (Pleuropogon retrofractus). This is a tall, attractive grass with graceful, dangling spikelets. I’d admired it here in the past. Never had I seen it looking so beautiful, however. 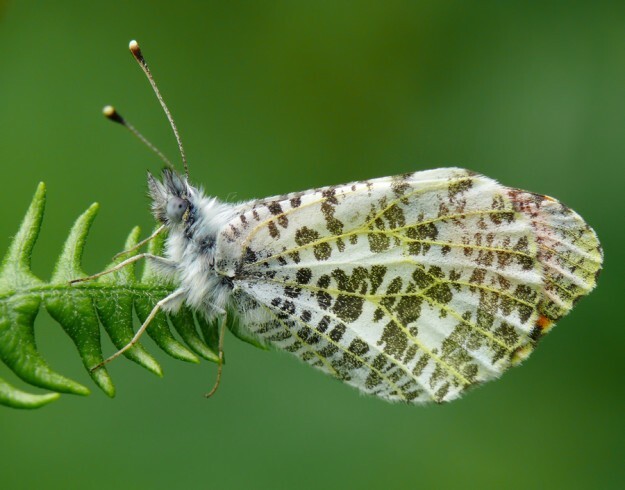 We had arrived just as it was in perfect bloom, with both the fuzzy, white stigmas and large, red-violet stamens in evidence. It was suggested they would make lovely earrings. As a designer and occasional jewelry maker, they certainly were inspiring. Several us were determined to get photos, but even the slightest breeze kept them moving. Since grasses are wind-pollinated, this makes sense, but it was still frustrating trying to capture the details of their delicate beauty.